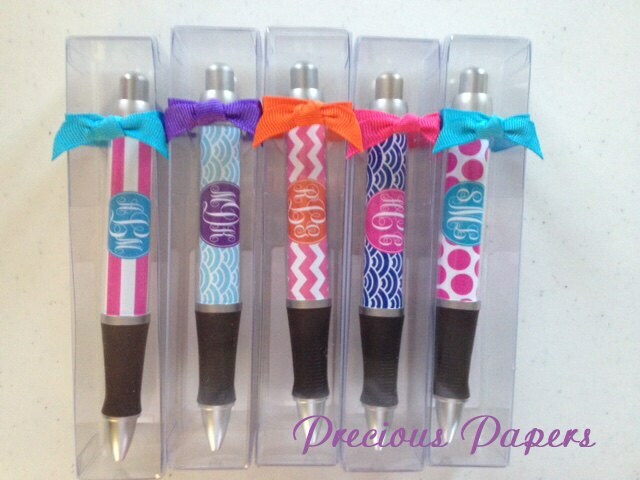 Personalized pens make a great gift for a teacher, co-worker, friend, babysitter, neighbor the possibilities are endless. With these four styles and four color choices you are sure to find one you like. Choose from several color patterns! These are always in stock and can print and ship within one business day of placing your order. Personailzed Pens make great gifts for everyone of all ages. We will make your pen and ship it upon approval within one business day. All items are shipped US Mail. Very cute, fast shipping! Pen sticks some times. Overall nice pen! Would order again! Loved them! Exactly as ordered and shipped quickly!